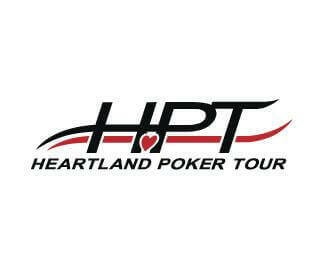 The 200th episode of the popular Heartland Poker Tour just gained some extra significance as the Main Event was won by none other than 2004 World Series of Poker Main Event Champion Greg Raymer. Raymer was among a handful of big names that made the trip to Albuquerque, New Mexico for the HPT event at the Route 66 Casino, joining the likes of Allen Kessler and Kathy Liebert in the field of 131 hopefuls –making this the largest tournament in New Mexico. Scott Dougherty of Sioux Falls, South Dakota: “Playing at the Final Table with Greg Raymer was awesome,” said Dougherty after being eliminated in third-place by Raymer. 6th place finisher Steven Carruthers from Albuquerque, New Mexico: “I made a big mistake that put me in a bad position,” Carruthers said after trying to bluff Raymer in a crucial pot that led to his elimination. Raymer is of course best known for his run to the 2004 World Series of Poker Main Event title, including a dust-up with poker pro Mike Matusow where Raymer maintained his calm despite “The Mouth’s” barrage of insults directed at the mild-mannered patent attorney. Raymer later became a PokerStars spokesman, and one of the faces of the online giant, a role he maintained for many years before parting ways with the company last year. Raymer now works as an advocate for online poker legislation, sitting on the board of several lobbying groups such as the Poker Players Alliance and FairPlay USA. Raymer’s poker career has seen a number of accomplishments, including seven Top 10 finishes in WSOP tournaments (most notably a third place finish in the 40th Anniversary $40k buy-in Event in 2009), a 25th place finish in the WSOP Main Event in 2005, and now a HPT title. Overall, Raymer has earned nearly 7.1 million in his tournament poker career.